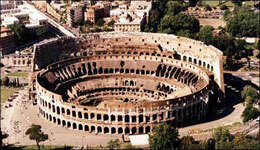 In common with most overseas venues one has to establish the exact place in Italy where an individual originated in order to make a start as there are no nationwide indexes. When Napoleon annexed large portions of Italy beginning in 1804, he also initiated the process of keeping civil records. These early Italian Napoleonic records of birth, marriage and death, covering the years 1804-1815, can be found in each Italian State Archive as well as the City Archives (they were compiled in two copies). When Napoleon lost power in 1815 most areas under his control stopped keeping civil registers. In some areas of Italy, however, parish priests chose to maintain a separate civil registration. 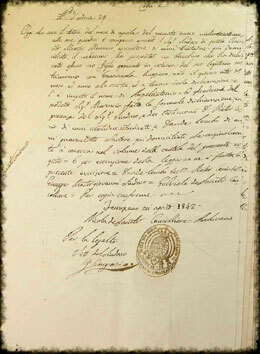 In the Kingdom of Sardegna, for example, there was in 1837 an agreement with the Catholic Church that the priests should compile the birth, marriage and death registers in two copies, one of which went to the City Archive. So city archives in Piemonte and in the other areas of the Sabaud Kingdom keep these parish register copies from 1838 to 1865. It therefore follows that because there was no central government during the post-Napoleonic years (1809-1865), civil registers are, understandably, inconsistent from town to town and province to province. When Italy became unified as a country in 1861, the Italian government again established registration of civil vital records. In most areas, the records began in 1866 and extend to the present. These Italian birth (atto di nascita), marriage (atto di matrimonio) and death (atto di morte) records can be found in the local Registrar's Office (Anagrafe) of the town in which your ancestor lived. A second copy can normally be found in the State Archive of the same province/district of the town, since these registers were also compiled in two copies. However, note that unless the records are over seventy years old, they are not available for public viewing. 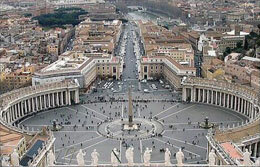 The predominate religion in Italy was and is Roman Catholic, so the majority of genealogical research takes place in Catholic parish and diocese records. In 1563, reforms brought about by the Council of Trent required priests to keep records of baptisms (atti di battesimo), marriages (atti di matrimonio), and burials (atti di sepoltura), meaning that most church records in Italy date back to this time. 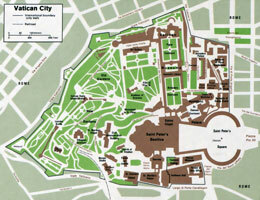 For some cities, however, church records begin as early as the 1300s. Duplicate copies of church records after 1900 (sometimes earlier) are also available in the diocesan archives. To use these records you should know the parish in which your ancestor lived as there is no database or indexation of any sort. 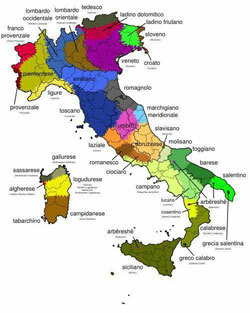 The first Italian census was taken in 1871, with further censuses taken each successive decade. The censuses taken from 1871-1901 are inconsistent from region to region, and usually only name the head of household, his/her occupation, and the number of people living in the household. Census records from 1911 on, however, list names, ages, occupations, birthplaces and relationships to the head of household for each resident. Census records from 1911 to 1991 are usually found in each comune's anagrafe (register office), and in the state archive of each province. Availability and permitted access differs from place to place. Beginning around 1869 and continuing to the present day, all male Italian citizens were and are required to register at the age of eighteen. These conscription records (Ruoli matricolari) typically include name, birth date, address at time of registration, parents, next of kin, and physical description of the registrant, as well as an explanation of their military status - whether they ever served, deserted, were exempted, etc. These records are in the custody of the local Military District (Distretto Militare). Records from 1870-1920 are accessible at the State Archives. Another copy is kept by the City Archives. In these records the soldiers are registered according to the year of commencement of the military service. Other military records are conscription lists (Liste di leva), which are compiled by the Cities Offices each year and contain the lists of all male citizens who lived in that town and were the age for the compulsory service. These lists are kept in the City Archives and a second copy is usually kept in the State Archives (Uffici di Leva). 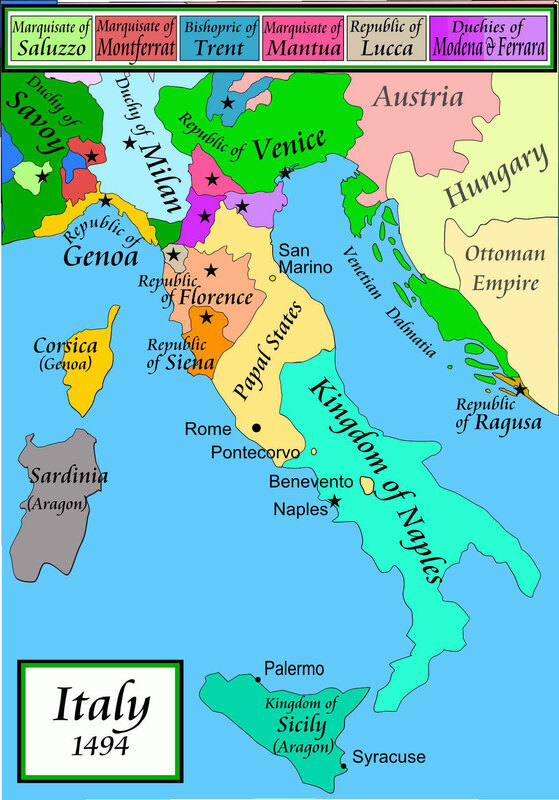 These records begin normally from 1804, as Napoleon first introduced the military service in the areas of Italy conquered in the French period (1804-1815). 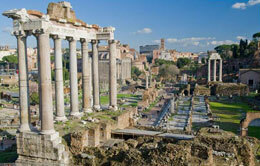 We offer a comprehensive research service throughout Italy.